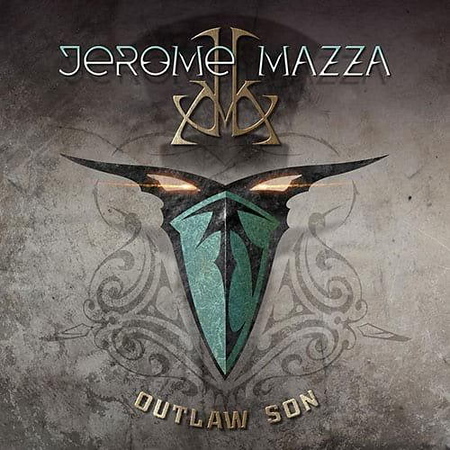 “Outlaw Son” is the second solo album from Jerome Mazza, a singer/songwriter and producer from Pittsburgh. He has previously fronted the bands Angelica and Pinnacle Point. The album was released by Escape Music on 23rd November. I included the title track “Outlaw Son” on the Friday NI Rocks Show on 30th November and “The Dark Side” on the Show on 28th December. Mazza was in a number of local bands and worked as a session singer before joining Christian rock band Angelica for the release of their second album “Walking In Faith” in 1990. A self-titled solo album was released in 2015 before Mazza went on to from the band Pinnacle Point in 2016, releasing the album “Winds of Change” in 2017. He also worked with former Kansas frontman Steve Walsh on “Black Butterfly”, providing lead and backing vocals on the album that was released via Escape Music in November 2017. Working with Mazza on the album are guitarist and keyboard player Tommy Denander, bass player Brian Anthony and drummer Chris Metzger. The album also features backing vocals from FM frontman Steve Overland.